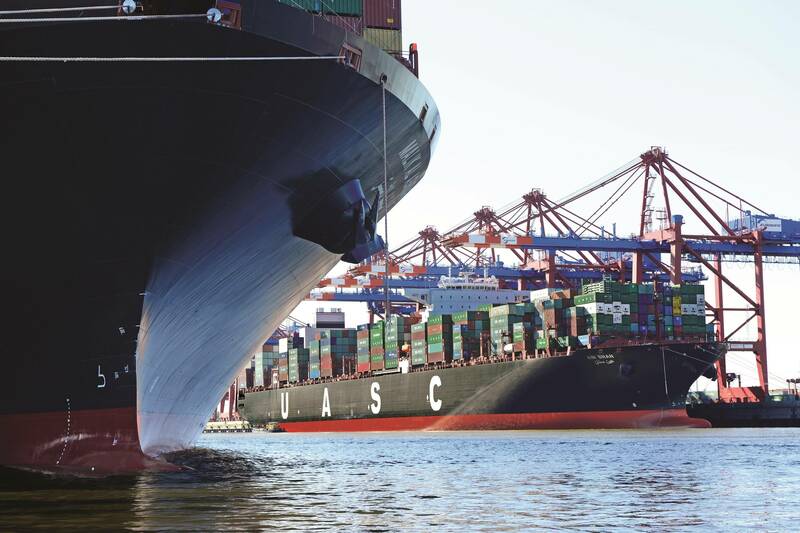 As part of a $2.3 billion newbuilding program, United Arab Shipping Company (UASC) has reached an agreement with Jotun for the provision of antifouling coatings for 11 new container vessels. The agreement marks the first time the companies have worked together on marine antifouling hull coatings. Of the 11 vessels to be coated with Jotun's premium antifouling range, eight are 14,500 TEU and three are 18,800 TEU capacity vessels. Eight of them will be treated with Jotun’s proprietary Hull Performance Solution (HPS) system, which combines SeaQuantum X200 paint with advanced measurement technology. This solution will help UASC's vessels achieve up to a 15% hydrodynamic performance gain as well as fuel cost savings, Jotun said. UASC's new 14,500 TEU and 18,800 TEU vessels are under construction at Hyundai Heavy Industries in South Korea, with delivery scheduled to commence from November 2014. The 18,800 TEU assets will be deployed on the Asia-Europe trading route. UASC’s new vessels demonstrate a focus on efficiency, with cutting edge design and LNG ready classification from DNV GL, while the antifouling solutions are a further step on the path to performance standards. "Our aim is to set new industry benchmarks for fuel economy and environmental performance," said Mohamed Zaitoun, UASC's Assistant Vice President New Building Technical Projects. "Antifouling products have a proven ability to keep hull surfaces smooth and clean under the water, which is critical to minimize fuel consumption and reduce emissions. We are focused on building a fleet of the most efficient container vessels in the market, and we believe Jotun's expertise can help us realize that vision." "UASC has evaluated the compelling nature of our advanced antifouling coatings in general, and the HPS system specifically, and is keen to trial it on eight of these flagship vessels," said Morten Sten Johansen, Jotun's Sales Director HPS. "The combination of silyl methacrylate coating technology and a truly comprehensive measurement system, capturing high frequency performance data, delivers not just clean hulls and added efficiency – but also documented evidence of effectiveness. This helps owners clearly track fuel savings and hull performance, with the aim of providing a tangible return on investment." "The market is showing a growing appreciation of the added value and benefits delivered by our antifouling coatings, and in particular HPS," Johansen added. "Major industry players like UASC are leading a new wave of environmentally responsible ship-owners. They, like us, are focused on contributing to a more efficient and sustainable industry. 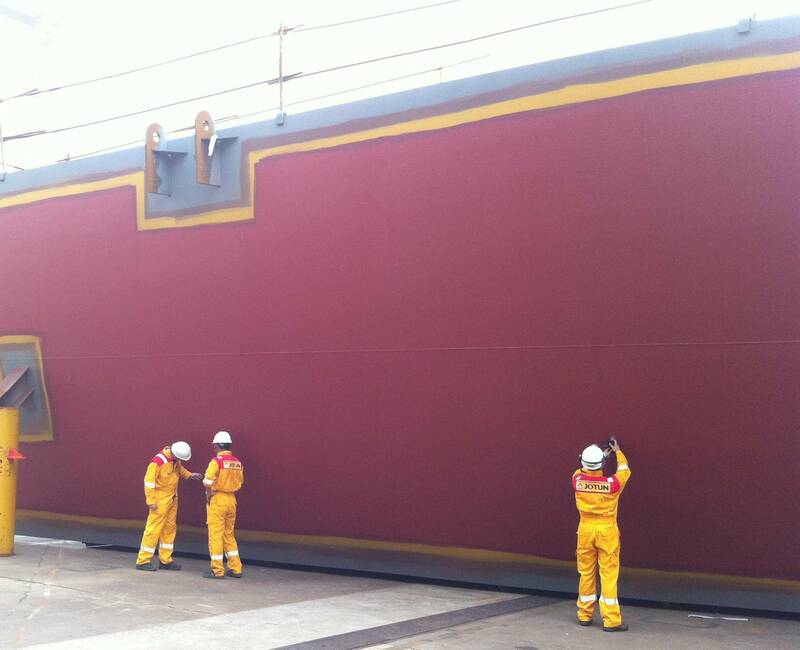 Improving hull coatings is a fundamental part of that push."